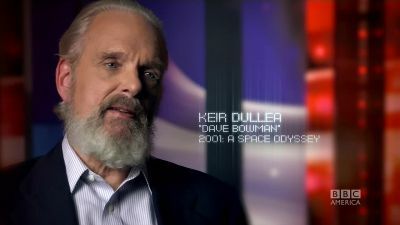 Keir appeared in a BBC series called THE REAL HISTORY OF SCIENCE FICTION talking about 2001: A SPACE ODYSSEY and Stanly Kubrick. So far he’s done two episodes and I’m not sure if he’ll be in the rest or if there will be a series two. Considering his age Keir is looking mighty fine. The only thing I’d change is that beard! It looks like a small animal ate his face. His features are far too fine for that kind of beardage. Though if he’s still performing in CAT ON A HOT TIN ROOF, then it’s understandable. Either way Keir is still compelling to watch and compelling to listen to. Just got this in. Keir and Gary will be on Alec Baldwin’s new talk show on MSNBC this coming Friday (01 November 2013) at 10:00 PM discussing 2001: A SPACE ODYSSEY and it’s impact. Keir has is Big Daddy beard and Gary is looking as bored as always. Here is the information. I’ll have the screencaps and clip up after it airs. 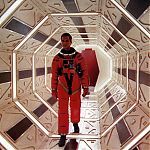 To mark the 45th anniversary of the genre-defining classic 2001: A Space Odyssey, Alec Baldwin sat down with the film’s stars, Keir Dullea and Gary Lockwood, for his new MSNBC talk show, Up Late With Alec Baldwin. 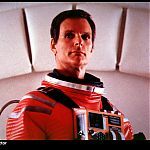 In the clip below from Friday’s episode, Dullea talks about how director Stanley Kubrick couldn’t decide on the voice of HAL, the computer in control of the spaceship, and the solution he came up with while filming. I screwed up on the stills album for 2010: ODYSSEY TWO and had to reupload them to the gallery. Of course Keir reprised his iconic role of Commander Dave Bowman in this Peter Hyams directed sequel to the 1968 classic. I know the release title for the film was 2010: THE YEAR WE MAKE CONTACT, but I really liked Arthur C. Clarke’s title for it better and thought I’d post that title. 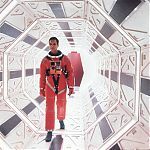 The film also starred Roy Scheider as Dr. Heywood Floyd taking over for William Sylvester, Helen Mirren as Tanya Kirbuk, John Lithgow as Dr. Walter Curnow, Bob Balaban as Dr. Chandra, and the return of Douglas Rain as the voice of the HAL-9000. This comes to the end of the additions for today. Whew!